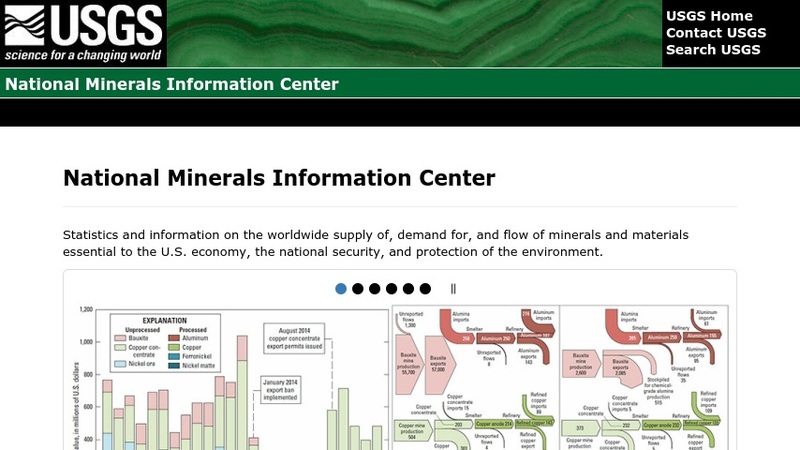 This site provides statistics and information on the worldwide supply of, demand for, and flow of minerals and materials essential to the U.S. economy and to national security. The database is searchable by commodity, country, state, or keyword. Links to a variety of related topics and publications are included.